Task 1: Would you mind making a new version of this icon with more polished negative spacing :D? This icon looks good in context, except the frame button (which is visible by default on any page that has frames) now looks pretty awful next to it. Task 2: Could you come up with ideas for a frame button that looks better? Sorry about the delay. I'll start working on the frame button soon. Hi Victoria. 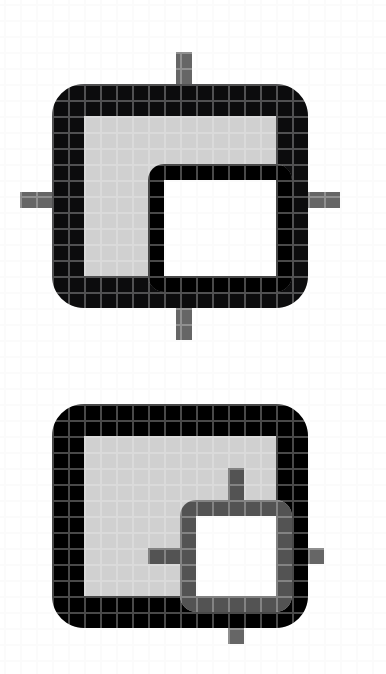 I've attached the 'negative spacing' icon (top most from my first comment) that I made in Sketch to the bug. Thanks! 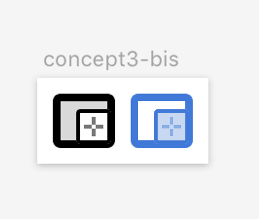 For the frame-picker icon, I tried a few visual concepts. One thing I tried to do was make it a two-state icon, so that it can reflect if the feature is “inactive” (we’re inspecting the main document) or “active” (we’re inspecting a subdocument). I did alternative representations of state with partial black fills and with the blue highlight color (same as the RDM icon active state). 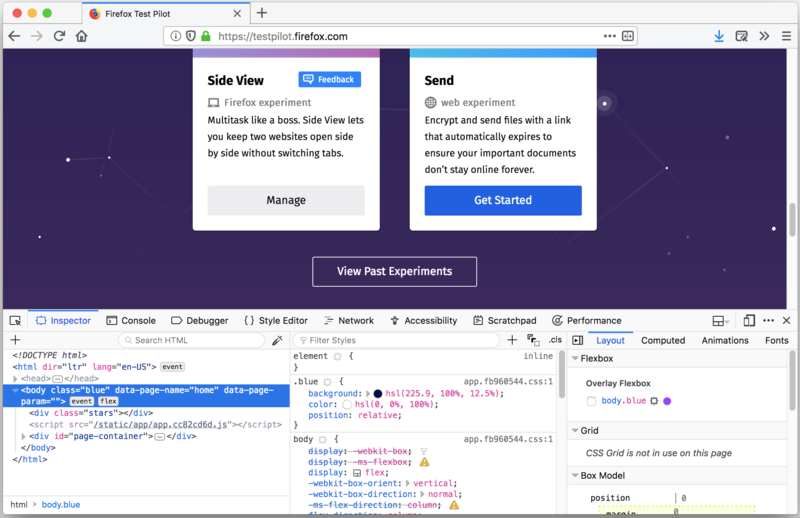 I tried to shy away from using the 3-part “frameset” metaphor, because as pointed out by Victoria it might be too outdated (frames and framesets were dropped in HTML5, only iframes remain), but looking at those options it might still be the better one. It’s also a less radical change for current users of this feature. Awesome concepts, and I love the idea of a two-state icon! I see what you mean about the frameset vs non-frameset ideas. I haven't used a iframe in so long, and when I see items in the frames dropdown they're usually a bunch of ads/trackers, so it's hard for me to know how most people think of this. I think this is a good time to ask for more feedback. 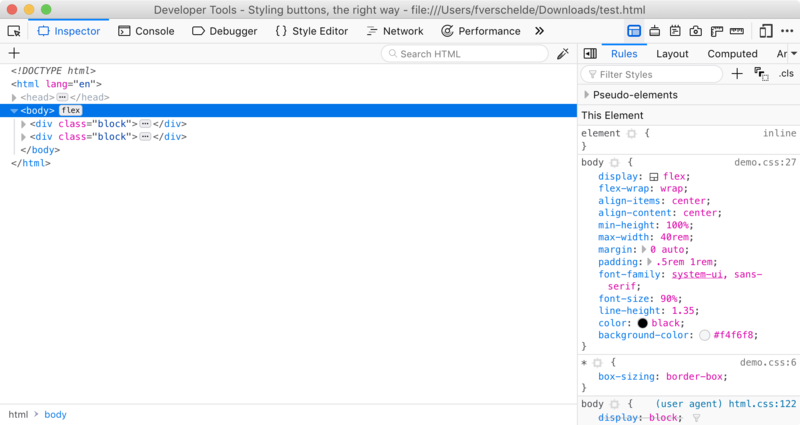 I'll post it in Slack, and if you wanted to tweet a Twitter-native poll for this, we can retweet it from @FirefoxDevTools. To keep it simple, this is the set of icons I'll use to ask for feedback. 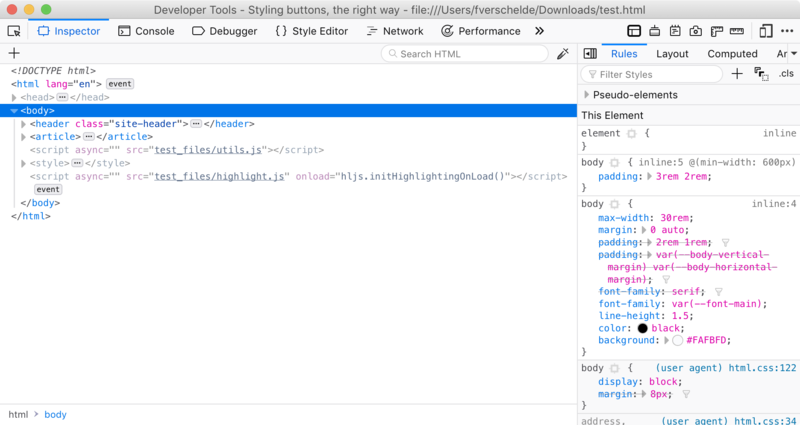 iFrames are still very relevant outside of ads/trackers, for example code playgrounds like codepen heavily rely on them (and often any kind of embedded content does, too). That said, I don't feel concept 4 is outdated. Though, I have to admit I'm somewhat drawn to concept 3 as well. Would need some refinement of course, but I think it could work as well. There is a "A or C" camp, but also mentions that these might get confused with the RDM icon or the “Min Vid” icon (a previous Test Pilot experiment). There is "B or D" camp, with more love for B. We landed the new RDM icon, but regressed the blue coloring when active. Or was that on purpose? Edit: can be fixed by using fill: currentColor to inherit the blue color. @fvsch Gabe will be fixing the blue highlight issue. Thanks for making the new mockup! Every concept had some valid criticism. 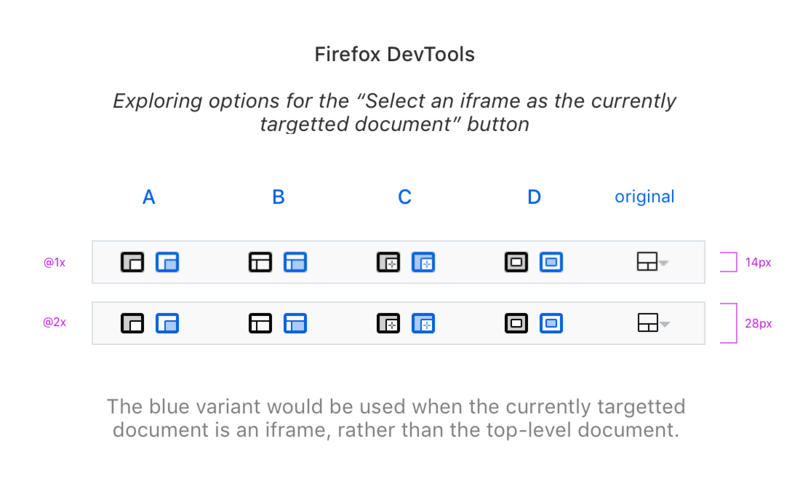 It’s not a perfect solution but we should probably go with the frameset option (B), because it will be a less radical change and has at least some users understanding the frameset metaphor. 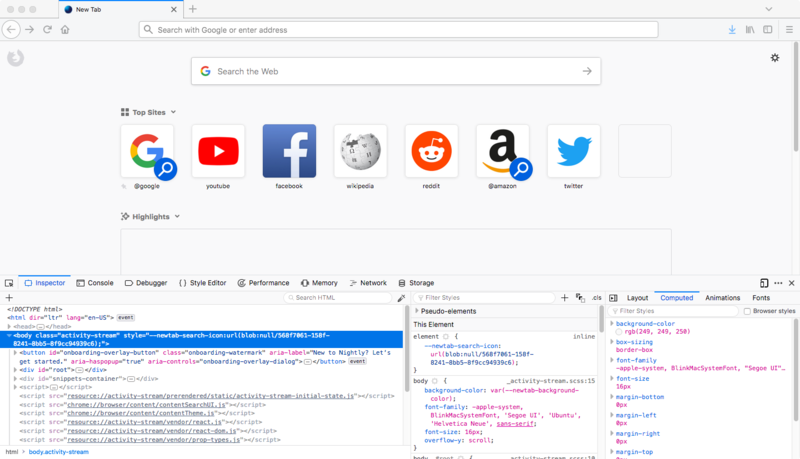 (The Codepen/JSFiddle analogy is a nice bonus too.) If we come up with a more elegant concept in the future, it can still be revisited (maybe if we put this tool inside different panels instead of in the toolbox). I started implementation work using option B (the “frameset” one), in bug 1488012. We can still replace the SVG if we decide on a different design. There’s a bit of visual mismatch when we have other icons enabled. This may not be a problem if we plan to update more icons progressively. 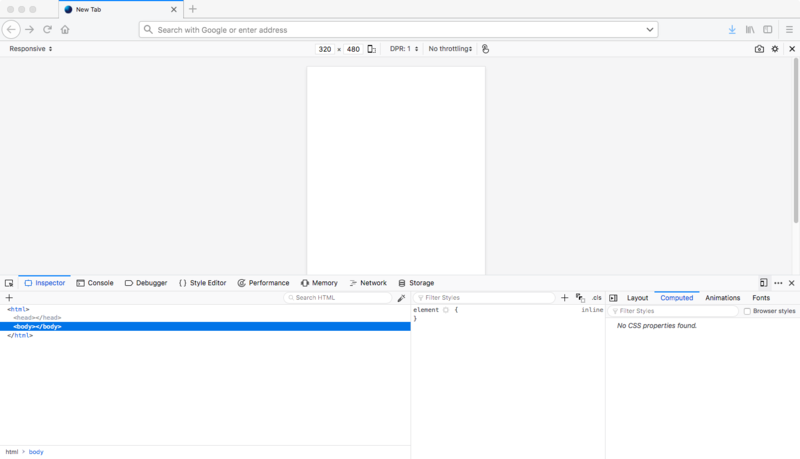 If it is a problem, maybe we should stick to non-Photon 1px strokes? B is the right choice, let's stick to it. Thank you @fvsch, I agree about sticking with B! And yes, we can fix the other icons later, especially since some of them need a little rethinking or might need to be removed. 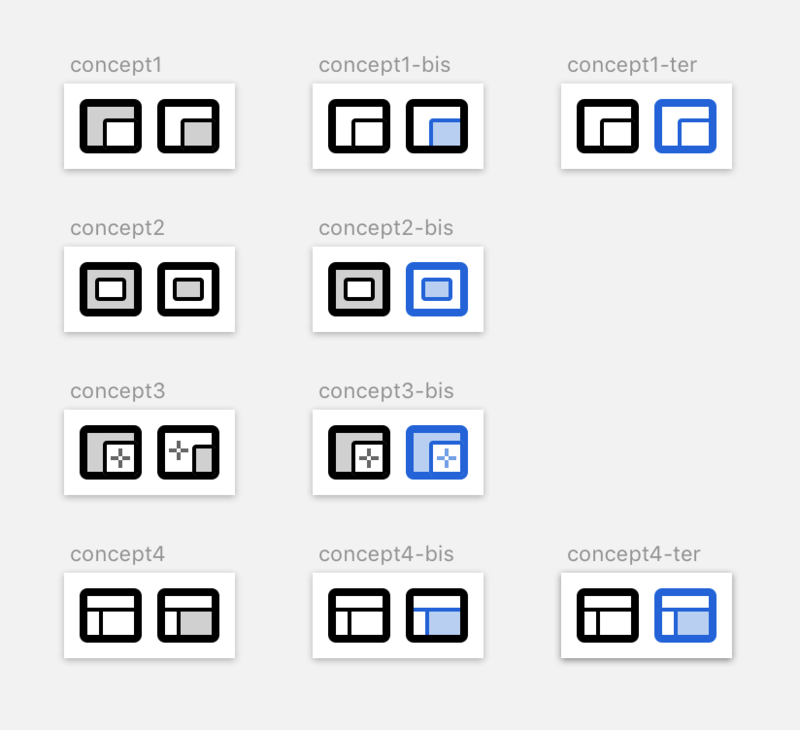 The new RDM and frame picker icons shipped in nightly in the last 2 cycles, so we can close this issue.